Following the traffic circle around Tai­pei’s historic North Gate, one catches sight of the old Taiwan Railways Administration building to the roundabout’s northwest. 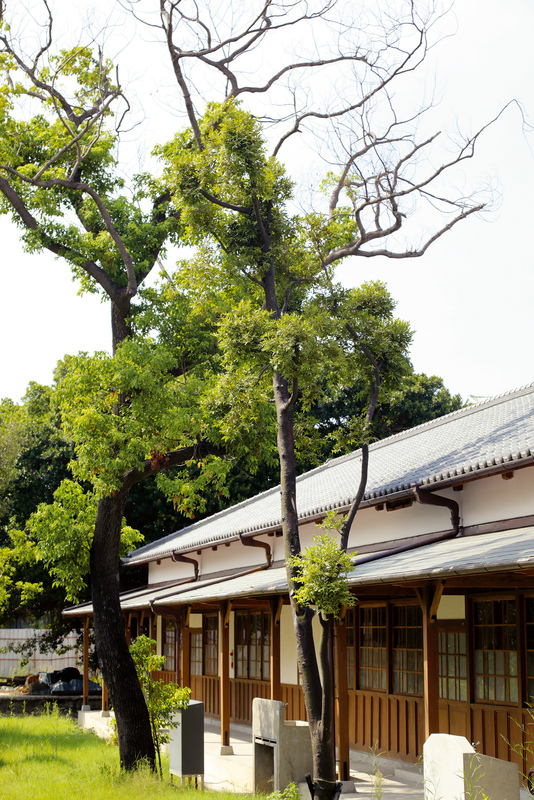 With brick and half-timbered walls and protruding towers to the right and left of the entrance, the two-story building with a dormered third floor is an example of Tudor-revival Japanese colonial architecture. 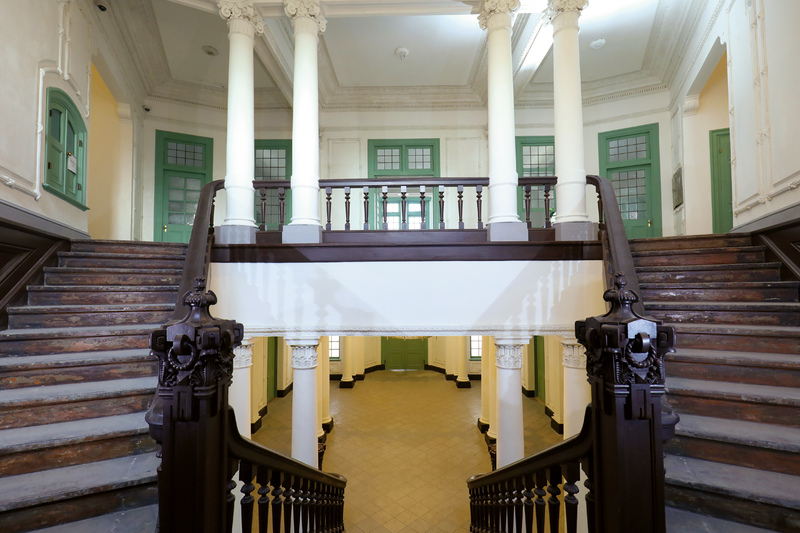 It’s a beautiful building that features prominently in the memories of many long-time Tai­pei residents. Meanwhile the Tai­pei Railway Workshop, located in eastern Tai­pei across from the Living Mall, was built as the TRA’s center of train repair when the area was still on the outskirts of the city. 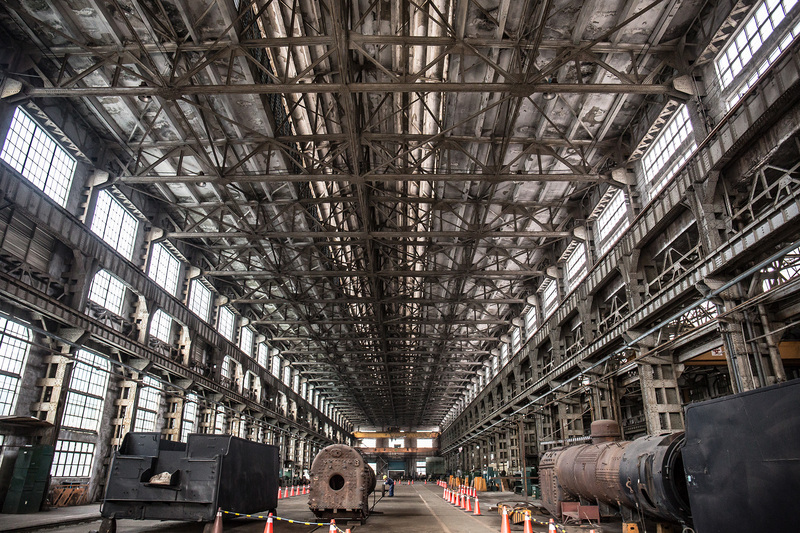 This industrial complex became a second home of sorts to the workers who inspected, maintained and repaired train cars and locomotives there. It was by coincidence that the two locations—alike national historic sites that played important roles in the history of railways in Taiwan—were both opened to public tours this past summer. When the tours were announced on the Internet, they immediately filled up. Access to these railway institutions had been tightly controlled, so train buffs were eager to avail themselves of an opportunity to visit sites so crucial to the golden era of rail in Taiwan. 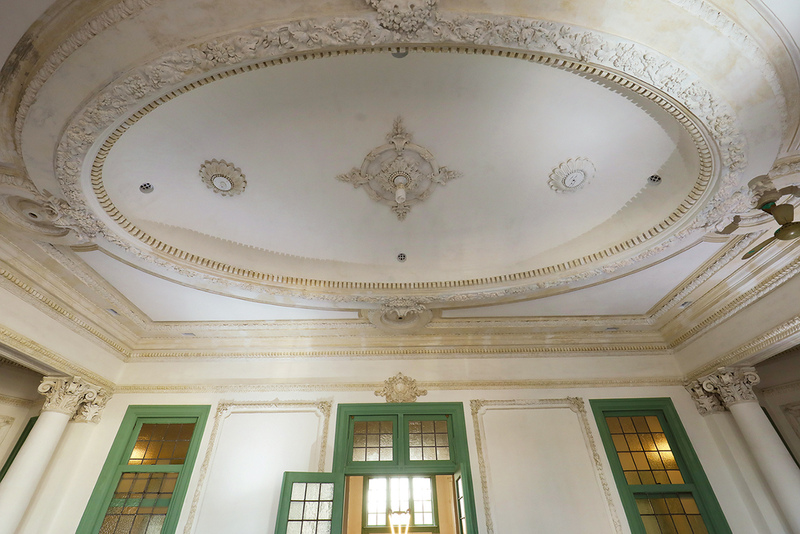 Upon entering the former Taiwan Railways Administration building, which was built to house the Japanese colonial railways administration, one is met with eye-pleasing terrazzo floors and an ornate plaster ceiling in a low-key but well-appointed lobby. 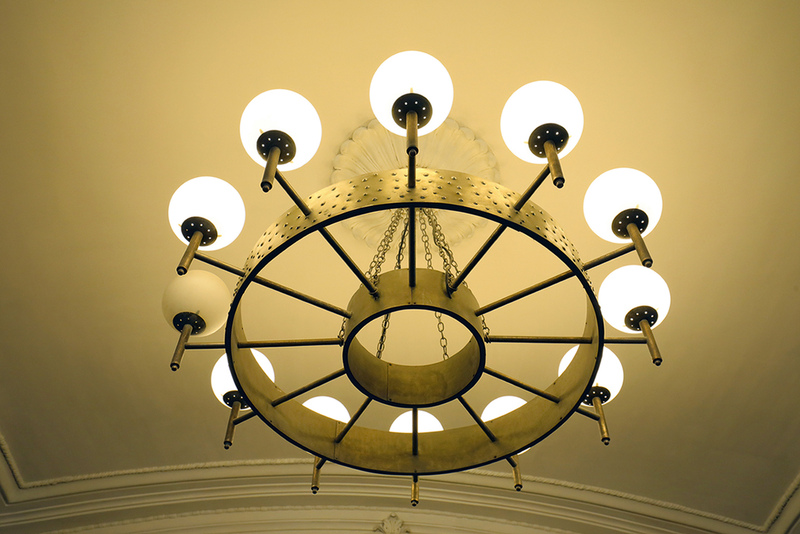 Ascending a split staircase, one arrives at a long conference room with a marvelously ornate oval ceiling that bears witness to the colonial government’s attention to detail and to the importance it placed on making a stately impression. The location has a long history that predates these elegant offices. The site was originally home to the Tai­pei Machinery Bureau during the Qing Dynasty, when it functioned as a machine repair shop, arms factory, mint, and railway repair workshop. Then in the Japanese colonial era the current structure was built as the administrative center for Taiwan’s railways. After Taiwan’s return to Chinese rule at the end of World War II, the building’s use for administering railways continued under the TRA, which later moved to the newly constructed Tai­pei Railway Station in 1993. The old office building stood empty for a few years, until 2006 when the National Taiwan Museum was given responsibility for restoring it. Located on the other side of the city, the Tai­pei Railway Workshop was the largest train repair facility in East Asia when it was constructed in 1935. Today it is the most expansive nationally designated historic site in Taiwan. 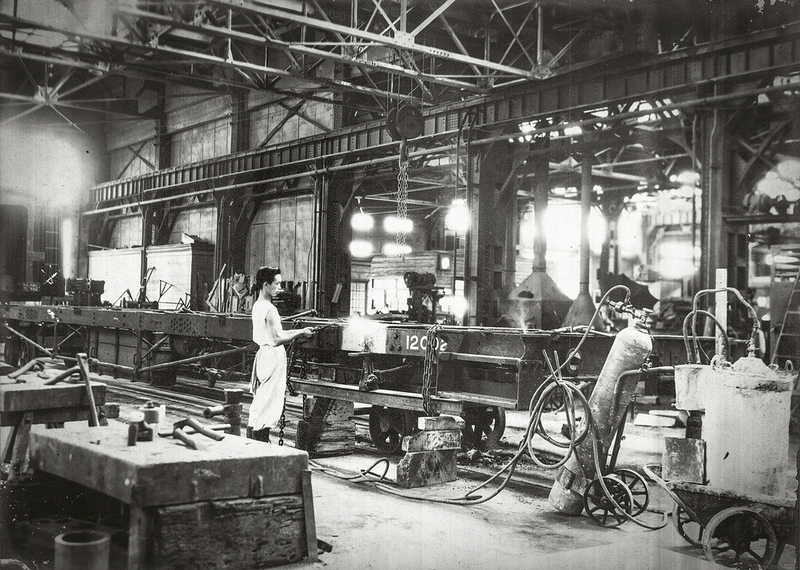 Its history bears witness to the development of train repair in Taiwan. The Tai­pei Railway Workshop now spans some 17 hectares. Each area of the plant features unique designs and building layouts. At 167 meters long, 20.4 meters high and 23.8 meters wide, the erecting shop features concrete exterior walls, large span steel trusses, the symmetry of industrial architecture, and high expansive windows, among other special features. At the same time, with windows placed on the north and south sides but not the east and west, the sun cannot cast rays directly into the building when low in the sky. It’s thus a highly energy-­efficient space. Many of the workshop areas’ floors are made of large blocks of cypress wood, with asphalt used to fill the gaps. The choice of flooring helped to absorb oil, dampen shocks and limit the damage from dropped heavy parts. The boilers in the engine room provided high-pressure steam to power a variety of machines at the plant. 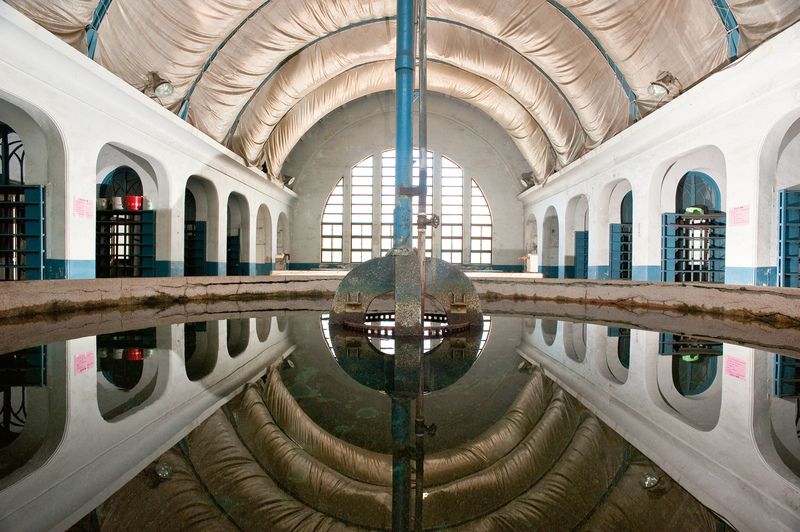 The excess heat was carried by pipes to warm the workers’ baths. After employees got off for the day, they could go for a soak to wash away their fatigue. By emphasizing the reuse of resources, it was a green design of its era. 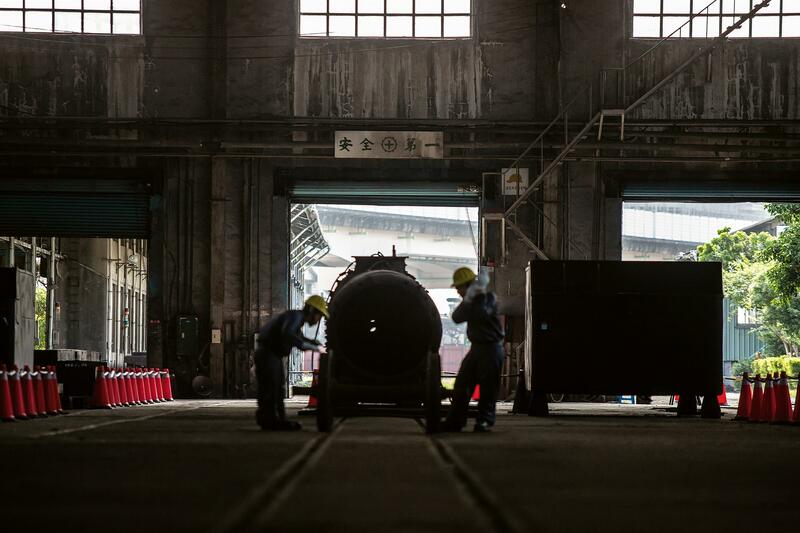 The Tai­pei Railway Workshop embodies the history of labor on Taiwan’s trains. The industrial complex was a second home to workers for most of their lives, and they left their marks throughout the facility. The murals in the complex’s diesel‡electric locomotive shop and internal combustion engine shop were created by the workers themselves. There are also whimsical “TRA robots,” which were built by workers from spare parts. These features really bring life to the complex. 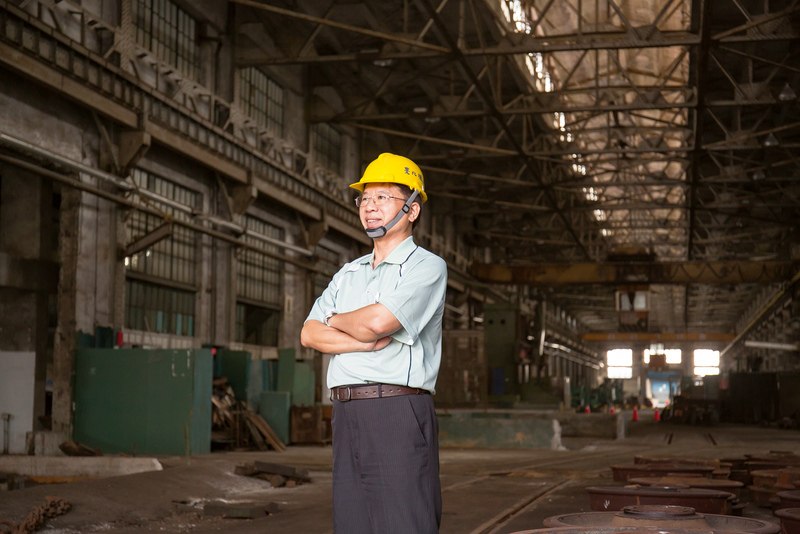 Retired Taipei Railway Workshop chief Chen Wu-­chang, 63, guides us through the forge and metallurgy shop, which would have been a hot and stuffy place back in the day. The plant’s workers themselves could fashion any needed spare part here, and indeed the workshop area still holds many tools that the workers made themselves. “A single steam locomotive has thousands of parts, and the workers here could make all of them,” Chen says with pride. The anecdotes that Chen shares portray a unique way of life inside the factory. 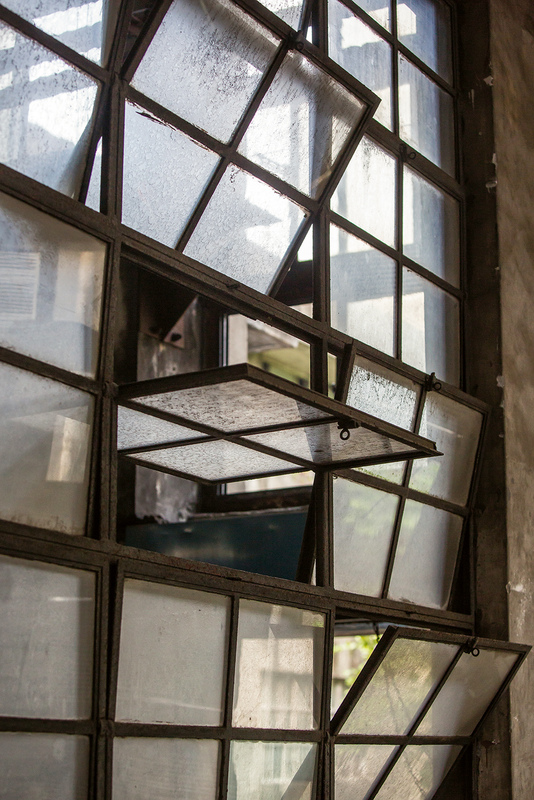 It is only relatively recently that the preservation of our industrial heritage has received much public attention in Taiwan. 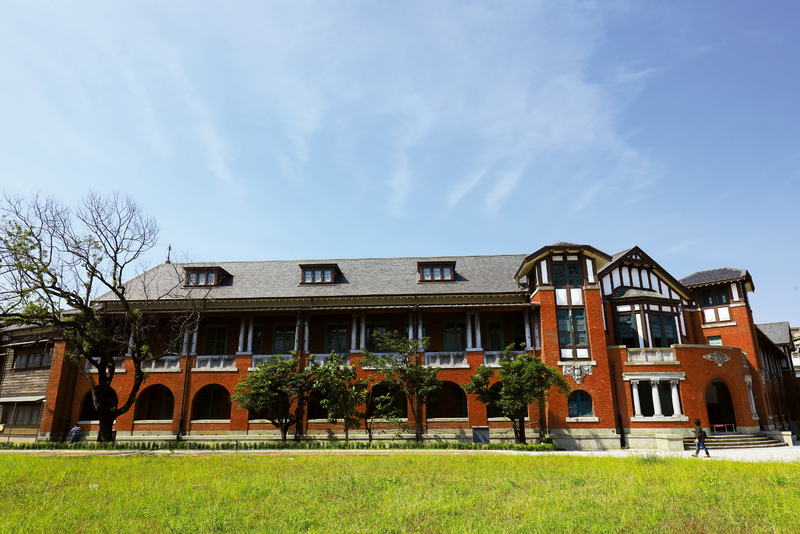 The TRA offices were designated as an historic site back in 1992, but the Tai­pei Railway Workshop was only brought under the authority of the National Taiwan Museum in 2006, and restoration did not begin until 2014. 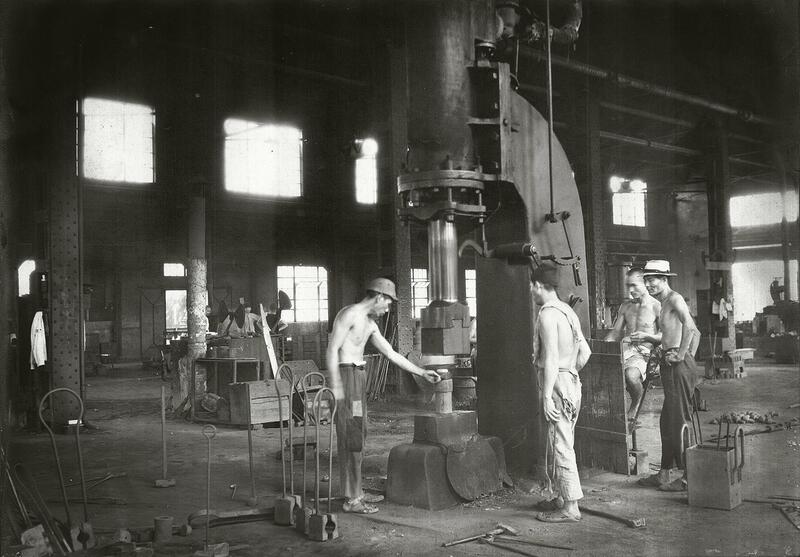 At first only the workers’ baths, erecting shop, engine room, and forge and metallurgy shop were designated historic sites. Only later did the entire complex gain that designation thanks to discussions among citizen groups and the Ministry of Culture (MOC). Wherein lies the value in preserving cultural assets? Lin Yi­hong believes that historical sites, as tangible three-dimensional spaces that impart a sense of history, are things that a city needs. Such places illuminate the experiences of certain places and times. Preserving them as close to their original condition as possible, so that the public can personally experience the physical objects and the traces left by time, is a paramount aim of restoration efforts. 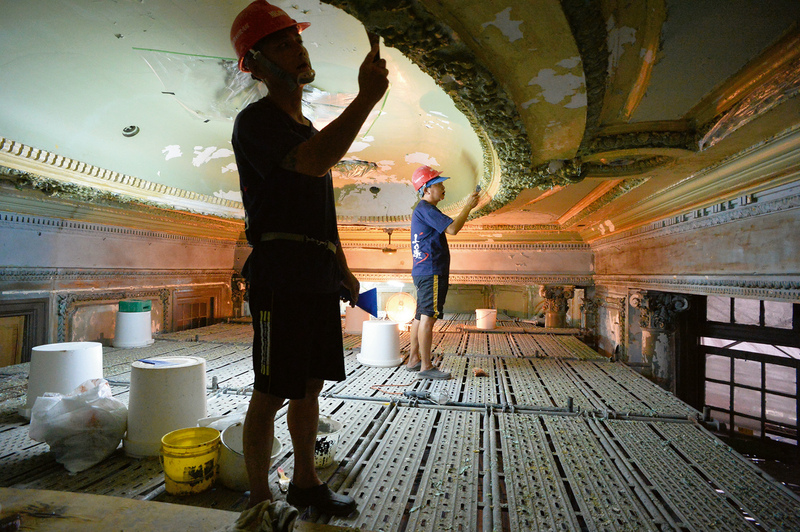 For the restoration of the TRA offices, “preserving the traces of different eras was an important concern.” In the ornately plastered second-floor conference room, one can clearly distinguish between the white new sections and the yellowed original ones. “Our imagining of the future is reliant on our understanding of the past and pondering of the present,” says Lin. When you think about Taiwan finally having a chance to create its own railway museum, what kind of a museum would you imagine? Railway expert Hong Zhi­wen explains that Taiwanese culture is highly tolerant and inclusive, which is evi­dent when you look at the island’s railways. From the earliest tracks laid under the Qing-Dynasty governor Liu Ming­chuan, to the introduction of the Japanese system, to the guidance provided by American ­consultants after the war, Taiwan has purchased trains from various nations. Thus the whole railway system in Taiwan has a highly cosmopolitan flavor. A Taiwan railway museum ought to “use Taiwan’s history to show the trains of the world,” says Hong. 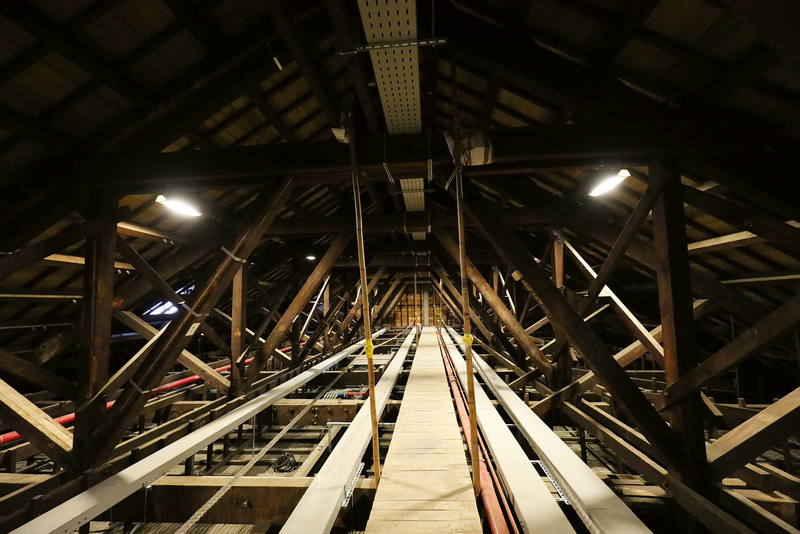 Because the Tai­pei Railway Workshop restoration project involves preservation of the entire site, including 24 different stretches of track, many elements can be brought into play for a future rail museum. For example, Hong notes that Taiwan has just acquired two 583 Series sleeper cars from the Railway Museum in Sai­tama, Japan. They could be made available for overnight stays. Restored Chu-­Kuang Express dining cars, meanwhile, could be used as the museum’s cafeteria. Old things can inform the public about the evolution of the island’s rails. They help to tell the stories that a train museum should tell. Apart from conveying the elegance of railway architecture, the central focus of the restored TRA offices will be in taking a “small is beautiful” approach to describing railway culture and history. From the standpoints of “cultural equality” and “cultural accessibility,” Deputy Minister of Culture Yang Tzu-pao, who is a train buff himself, is worried that contemporary art is gradually becoming stratified by social class. He emphasizes that museums have the difficult mission of making learning fun. “Enjoyment should be the mother of knowledge.” You don’t want to intimidate or alienate the public. These considerations must be the starting point for the museum. “The late start taken to create a Taiwan train museum poses serious challenges but also offers advantages,” Yang says. He uses the metaphor of a train station being a place of departure. He anticipates that the railway museum will provide a gateway for the public to look back, turn around, and make new starts—all the while holding bright expectations for the future. The plans call for exceeding a mere national-level railway museum. Yang anticipates that the museum will demonstrate to the world how the people of Taiwan can bring disused industrial sites to life for modern people and will prompt more foreign friends to take special trips to Taiwan. The institution will thus ascend to the ranks of truly international­-class railway museums.